If you have read Texas Hold'em strategy articles or overheard discussions between poker players, you may have come across certain combinations of words to describe how someone plays at the poker table. But what exactly does it mean to be Tight, Loose, Aggressive or Passive in Texas Hold'em? And which playing style is the best? The first word - tight and loose. The first word of each playing style describes how many hands a player is perceived to be playing, and they will either be describes as being "tight" or "loose". A tight player will play very few hands, and only play premium hands that have a good chance of winning. A loose player will play a wide variety of hands and enter numerous pots with both strong starting hands a few weaker ones. The more hands a player enters pots with, the "looser" they are. 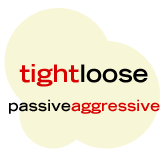 The second word - aggressive and passive. The second part of each playing style describes how the particular players bet on each betting round, and this is described as being either "aggressive" or "passive". An aggressive player will frequently bet or raise and give a lot of action by making strong bets. A passive player will be more inclined to check and call, and will rarely bet out or raise an opponent's bet. So as you can see, by combining these two sections together with the two descriptions in each, we can make 4 different playing styles to describe how many hands an opponent plays, and how they play their hands by the way they bet or check. This sort of information can be very useful when talking about strategy, as bluffing against a Loose-Passive player who plays lots of hands and calls frequently, is not going to be as profitable as making a bluff against a Tight-Aggressive player who only plays the best hands and will only bet or raise with a strong hand. Check out the section starting at 24:32 of the Common Full Ring Mistakes pt. 1 video for an overview of how to beat each of these players types. Which out of these 4 playing styles is the best? To play good poker you have to be able to play aggressively, as highlighted in the article on the importance of aggression. Therefore as you can expect, the best playing style is going to be a toss-up between playing Tight-Aggressive or Loose-Aggressive. Playing aggressively is always better than playing passively, no question about it. Many winning players will say that Tight-Aggressive is the best way to play as you are always entering pots with great hands and you are playing them strongly to maximize your winnings. This is very true, and it is often the style of play that many developing players aspire to use correctly. In spite of this however, it is perfectly possible to play Loose-Aggressive just as profitably or even more profitably than the Tight-Aggressive style, but this is quite difficult to master. The Loose aggressive style can be profitable, but it is dangerous if you do not know what you are doing. Playing Loose-Aggressive means that you are seeing a lot of flops and getting money into the pot when you are often not totally sure of how strong your hand is, so it is not something that is recommended for beginner players to try. However, the rewards can be high, as your opponents will often pay you off when you hit monster hands as they will not give you credit for them because of the way you have been playing up to that point. Passive poker is never profitable. The passive style of play is often unprofitable, and so it is advised that anyone looking to become a winning poker player should try to bet and raise more frequently rather than just checking and calling. The reason why passive play is often unprofitable is because you are removing one of you options to win a hand. You can either win by having the best hand, or by betting your opponent out of the pot. By playing passively, you are reduced to only ever winning when you have the best hand, which is what any old player can do. So for the majority of players learning the game, it is recommended that you try and adopt a Tight-Aggressive style because of the fact that it is profitable and safe to play. If after you gain experience in playing solid, profitable poker, there is no reason why you shouldn't try and venture out into the realms of Loose-Aggressive play to see how it works out for you. Veteran players like the Loose-Aggressive style because it allows them to get involved in a lot of hands and see a lot of pots, which will save them from the boredom of waiting for premium hands all the time before they see any action. However, it is far safer to stick with the trusted Tight-Aggressive play at first, rather than throwing yourself into the deep end with a complex playing style that you are unfamiliar with. For strategy and tips on how to beat each of these different playing styles (and a couple more), watch the Player Types concept video by SplitSuit. In general, the playing style you adopt should be the one that allows you to play most profitably. If you feel that playing Tight-Aggressive works better for you than any other style, then there is no reason why you should consider forcing yourself to change. Similarly, if you are a recreational player and enjoy playing passively rather than aggressively, then that is perfectly fine and you should be comfortable with the way you play. However, you should be aware that if you want to maximize your winnings, an aggressive style of play would allow you to do so rather than a passive style of play. The top two are interchangeable, as the loose-aggressive playing style can be very profitable for some. However, the TAG style is best for newer players to the game, as LAG can be a very dangerous style if you do not know what you are doing. For more information on playing styles, check out my friend's poker player types article on his online poker blog. It provides more in-depth explanations of the 4 different player types outlined above with some real-life examples. Check out the article on changing gears in poker to find out how to profitably switch between tight-aggressive and loose-aggressive poker.